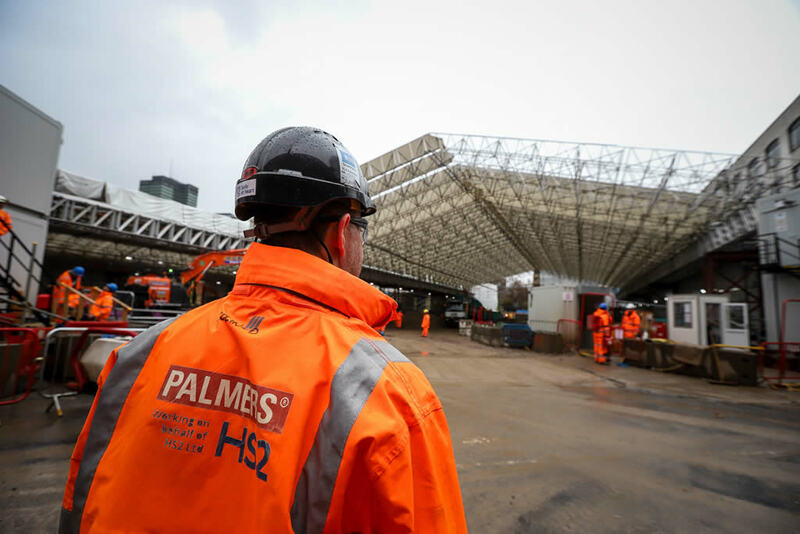 Palmers are providing large-scale special access solutions and scaffolding for the prestigious St James Park London Euston Station HS2 enabling construction works. The scaffold consists of a huge 10,000m2 temporary roof – supported below by 15 towers and 300m of bespoke Palmers special access spine beam – with a large-scale privacy screen around St James Gardens, to house CSJV’s archaeology programme to carry out a number of operations in a cemetery that is buried underneath the park. 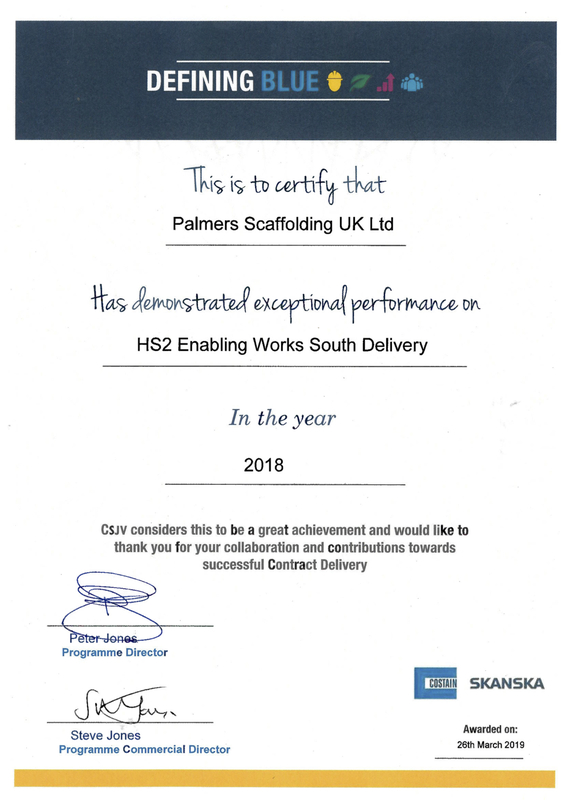 The temporary works for principal contractor CSJV began in early July 2018 and the scaffolding structure is remain erected for approximately 18 months, whilst the archaeology works are carried out. 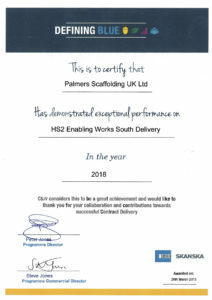 There are circa 30 experienced Palmers Scaffolding operatives on the site, installing the large temporary roof spans (of over 37m), the multiple scaffolding towers and complex access spine beams which complete the 10,000m2 temporary roof, access and scaffolding structure. The vast majority (90%) of the works will be completed from the confines of a safe working platform (fully boarded and hand railed) and then be traversed into position, to avoid the risk of working at height.